A Toyota Avensis car on Friday lost control, after experiencing a tyre burst, sumarsulted and crushed four students of the Government Technical College and one other person to death in Abeokuta, Ogun. 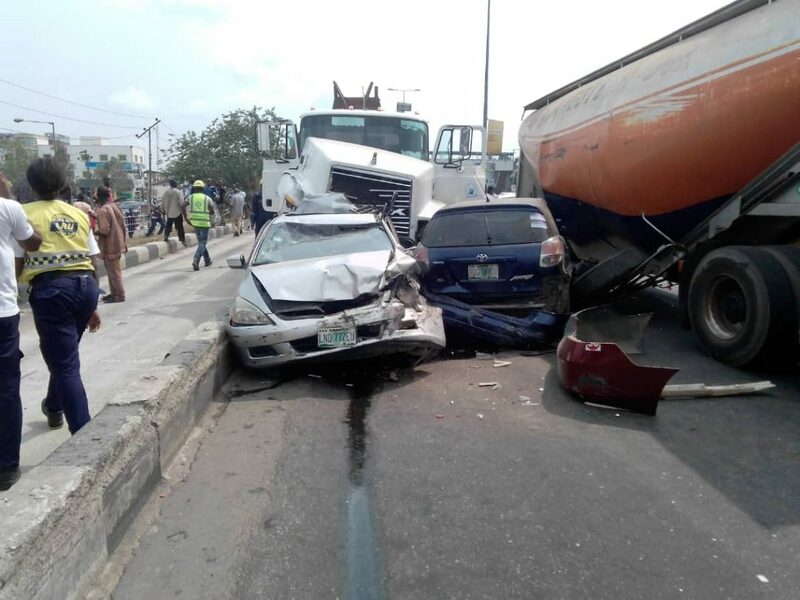 Mr Babatunde Akinbiyi, the Spokesperson, Traffic Compliance and Enforcement Corps (TRACE) in Ogun, confirmed the incident to News Agency of Nigeria (NAN) in Abeokuta on Saturday. Akinbiyi explained that the car lost control due to tyre burst, sumersaulted and hit the students where they were seated in front of a house. ” We Learnt they were students of Government Technical College, Abeokuta. Akinbiyi said that corpses of the deceased had been deposited at the morgue of the Federal Medical Center (FMC) in Abeokuta while the injured were taken to same hospital.